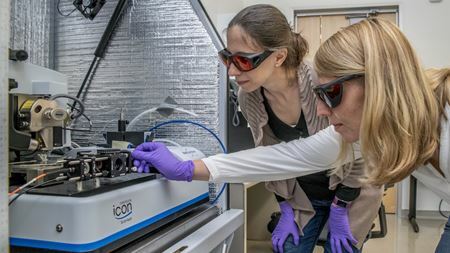 Scientists have used a photoconductive atomic force microscope to better understand the nanoscale properties of artificial photosynthesis materials. Star-shaped gold nanoparticles coated with titanium dioxide can harness visible and infrared light to generate hydrogen from water. Researchers have found that a novel hybrid improper ferroelectric possesses ferroelectric, magnetoelectric and optical properties. Researchers have succeeded in producing crystals of a semiconducting material called boron arsenide with an extremely high thermal conductivity.